Colorado is about to put into place a misguided plan that could further weaken an already ailing political party system. Over the opposition of the state’s political parties, the voters approved Proposition 108 in 2016. This measure ushers in an era of open primaries in the Western State. For Colorado’s voters who are registered members of a political party, the move will dilute their ability to select candidates who best represent their views in the general election. Even more worrisome is the fact that Colorado’s Proposition 108 is the result of a national campaign, whose efforts, if successful, could destroy the party system in much of America. Fortunately, New Jersey isn’t likely to embrace such a transformation anytime soon. New Jersey isn’t one of the 26 states plus the District of Columbia that allow voters to put questions on the public ballot. Only the Legislature has that ability and until now has shown no inclination to put such a sweeping change before voters. In Colorado, party members now must share the responsibility of picking a general election candidate with unaffiliated voters who may decide to vote in one party’s primary this year and another party primary the next. These unaffiliated voters don’t have a real stake in the party’s governmental philosophy or platforms. Without having any tie to a political party, 1.4 million unaffiliated voters in Colorado will get to influence the selection of a party’s general election candidates. About the only thing worse is the blanket primary, wherein voters can vote for members of different parties in the same primary election. For example, they might vote for a Republican mayoral candidate, a Libertarian state legislative candidate and a Democratic gubernatorial candidate. Either type of primary system would damage parties, which, in turn, would hurt the functioning of government. The Colorado ballot question was the brainchild of the recently established National Association of NonPartisan Reformers. This Association represents a coalition that includes Centrist Project, No Labels, the Bridge Alliance, FairVote, Open Primaries, and Independent Voter Project. Open Primaries spent $250,000 successfully advocating for Proposition 108 in Colorado. In an unsuccessful effort in South Dakota, it spent $1.1 million attempting to amend the State Constitution. FairVote was the engine behind Maine’s 2016 initiative that created a ranked-choice primary system. The coalition’s goal is seemingly well meaning. Its purpose is to increase voter participation and accountability in the nation’s political system. A referendum asking voters to approve this change would have great surface appeal. Well-intentioned reforms, however, often have unintended consequences. This one is likely to be an illusion. Increased participation may result. But it is doubtful. After all, it has been the parties that have traditionally turned out the vote. When parties were strong and party ID was high, so was voter turnout. Further, there will be less accountability, not more. Undermining political parties through open primaries will only facilitate the already tremendous growth in independent groups, which are far less transparent in their activities. These groups are already providing stiff competition for political parties, spending billions on federal, state and local campaigns during the last decade. In the minds of the voters, these groups are not linked to candidates and often spend their money in secret. So it is easier for them to get away with smear tactics too extreme for candidates themselves. Political parties, by comparison, are infinitely more accountable to the public. If they run a negative advertisement, voters know it. They are a link between voters and their candidates, a cue to voting, and regulated by law. Political parties represent broad coalitions of people, disclose their financial activity, and, unlike independent groups, are subject to hard limits on donations they receive. Independent special interest groups do not organize government- political parties do. Historically, parties have helped bring a sense of order and discipline to government. Without them, government could become less effective. Instead of measures that serve to weaken political parties, policies that strengthen them should be enacted. This is what proposals put forth by the Election Law Enforcement Commission would do in New Jersey. 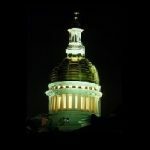 These proposals include allowing the parties to participate in gubernatorial elections, raising contribution limits on donations to them, allowing county parties to give to each other in primaries, and exempting parties from the pay-to-play law. These measures, together with registration and disclosure by independent groups, and reform of pay-to-play, would not only strengthen political parties but would offset the flow of money to autonomous groups and redirect it to the parties and candidates. Measures championed by the National Association of NonPartisan Reformers should be resisted in favor of reforms that would strengthen political parties. Encouraging participation in politics is a good thing, but not in ways that would undermine an important institution. Rather than undertake efforts that would dismantle the party system, people who feel the need for a new direction always have the option to attempt to create a new party. That is how the Democratic and Republican parties came about. Jeff Brindle is the Executive Director of the New Jersey Election Law Enforcement Commission. The opinions presented here are his own and not necessarily those of the Commission.